The Amazon Build Your Survival Kit Tool is no longer functional. It had potential, but as you can see in the lists below, it was very redundant. Amazon has a new tool where you can ‘build your survival kit’- basically meaning that they suggest items for you based on the longevity that you pick from a drop down menu. The survival supplies are recommended on a 3 day, 5 day, and 7 day basis, picked from the drop down menu. The tool then adjusts the suggested items based on the survival time you picked. You can skip over items (as many are redundant) and select the items you want and it will subtotal them as you go. 5 Day List: Selecting 5 days only adds the Energy category to the the 3 day list. 7 Day List: Selecting 7 days results in the exact same list as the 5 day list, which is pretty similar to the 3 day list. 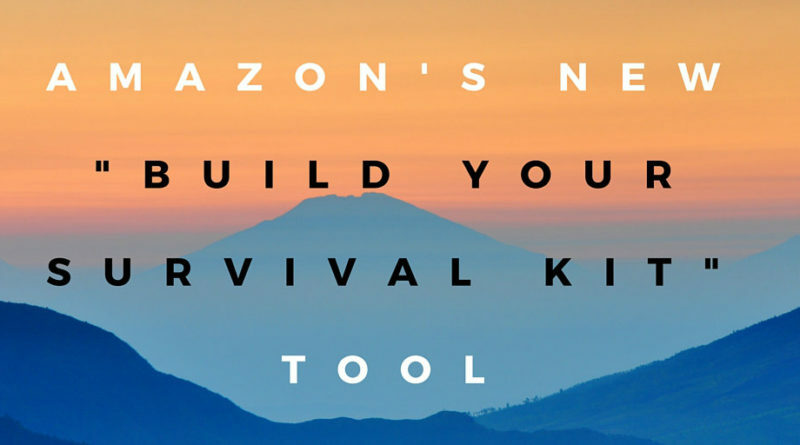 It looks like the building block for a tool with potential in the future, but for now the Amazon Build your Survival Kit tool does not offer all that much. The time frame selector only adds one category for 5 and 7 days, and shows the same items for all the other categories even though the time was lengthened. The categories do touch on important areas to consider when building a kit, but I am not sure how the items were selected within the group. Duplicates, best sellers, and even some junk (see Coleman Pocket Compass reviews – it doesn’t even match the picture) made the list. Amazon does have pretty good prices and a lot of items to choose from, and some of these items on the list are great for both preppers new and seasoned.